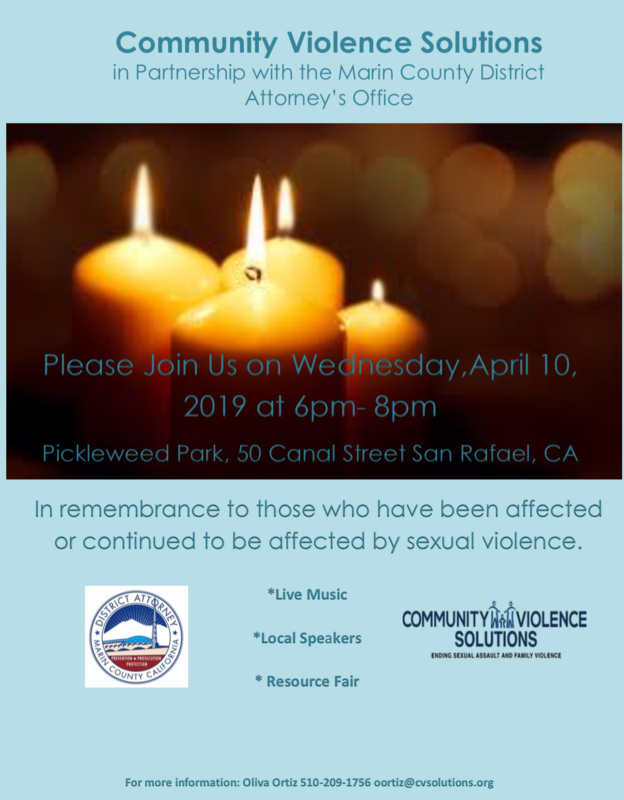 Pickleweed Park, 50 Canal Street San Rafael, CA. In remembrance to those who have been affected or continued to be affected by sexual violence. Community Violence Solutions welcomes volunteers and contributions from the community. For further information about our services, or to get involved, contact the Administrative office at 510-237-0113. For more information, please contact us at admin@cvsolutions.org. For information about employment opportunities at Community Violence Solutions, please contact hr@cvsolutions.org.